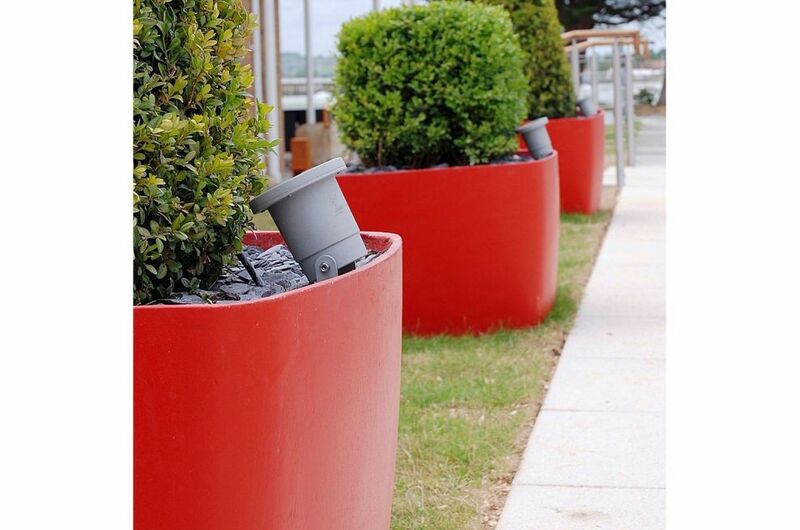 Boldly coloured planters from IOTA have been used to striking effect at the newly refurbished Langstone Hotel near Portsmouth. 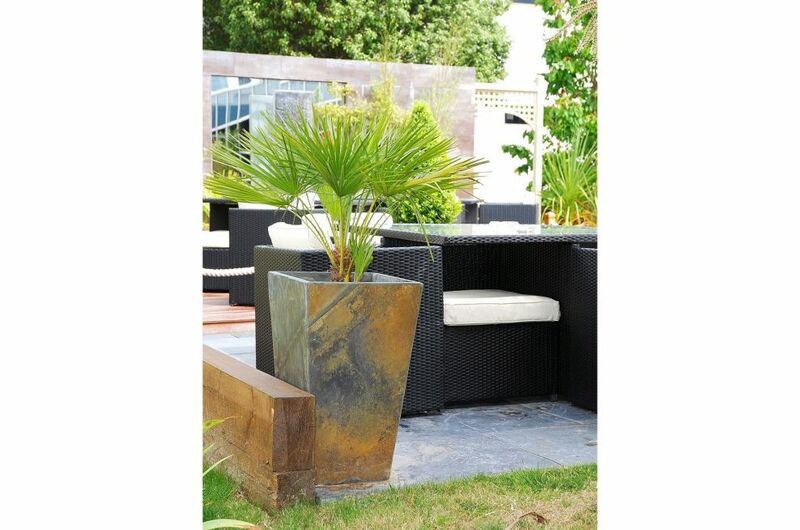 The planters selected are the Boulevard OSAKA 70cm design, which has a ‘relaxed’ cube shape with gently curving sides. 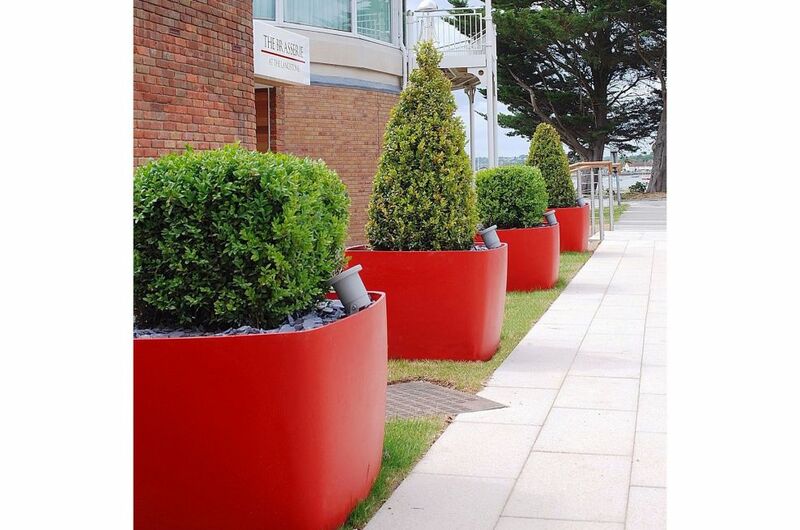 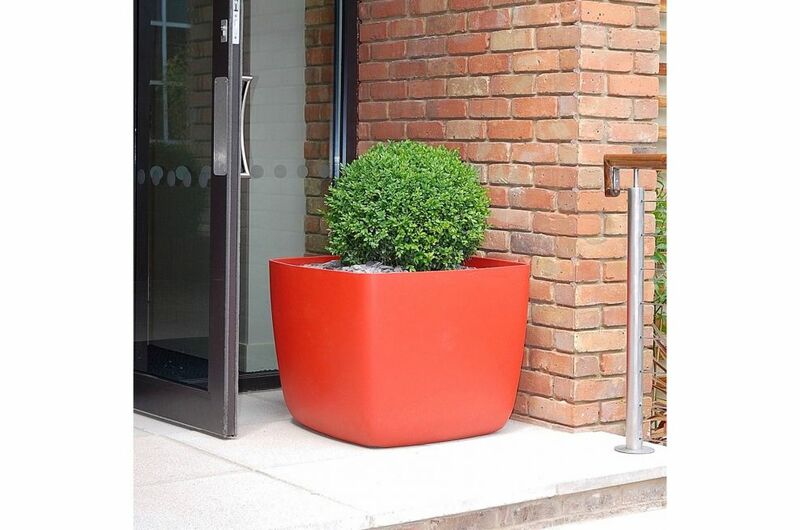 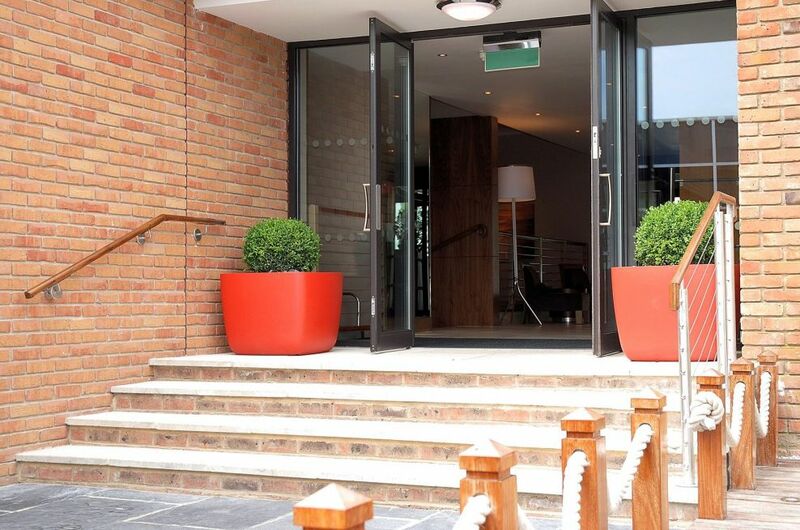 The planters were custom-coloured to the reference RAL 3016 [Coral Red], and they create a strong visual line and a sense of arrival along walkways leading to the hotel entrances. 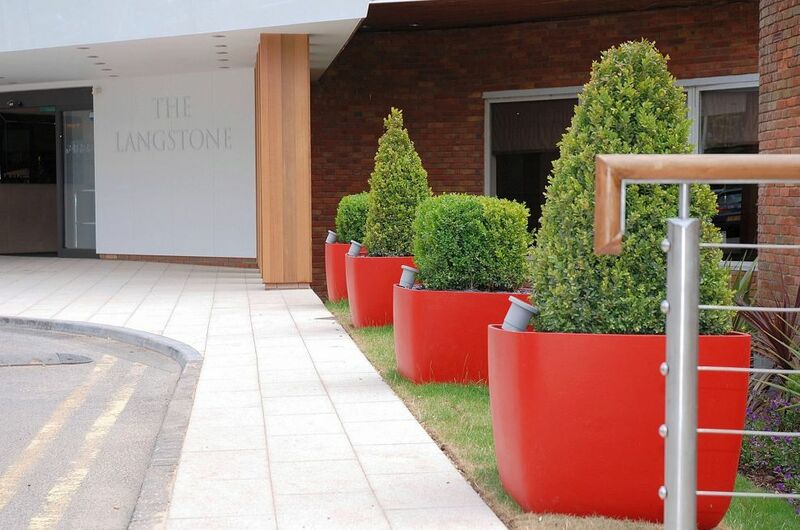 IOTA’s composite and natural stone planters are also used in the refurbishment scheme, in addition to Boulevard. 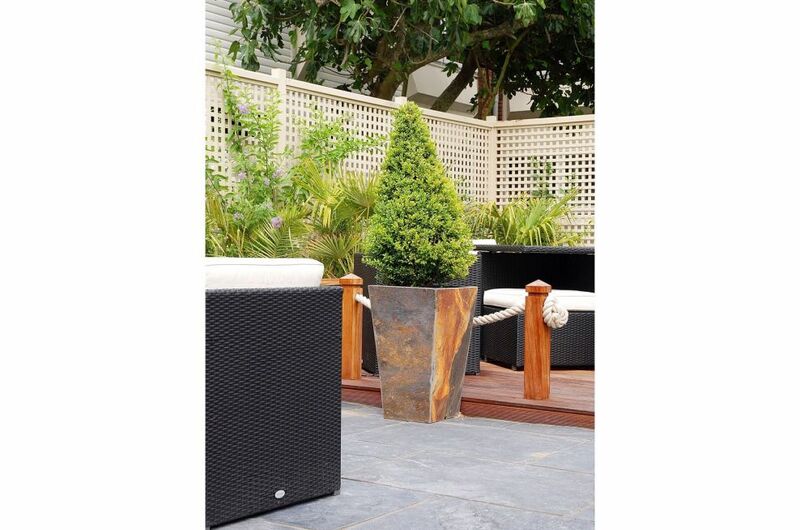 Granite planters coordinate with grey sandstone paving and black wicker furniture, whilst Slate planters are used as a visual bridge between paved and decked areas. 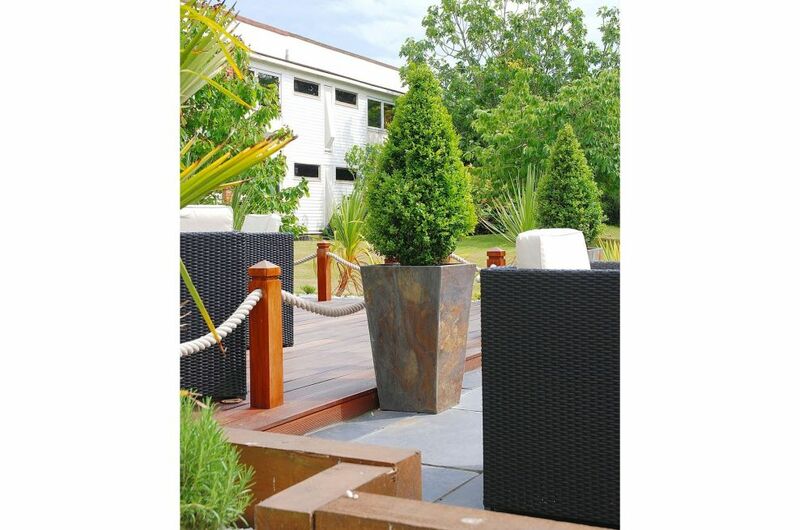 Finally, dramatic 2.2m tall Fresco Pillars are used to introduce vertical planted interest. 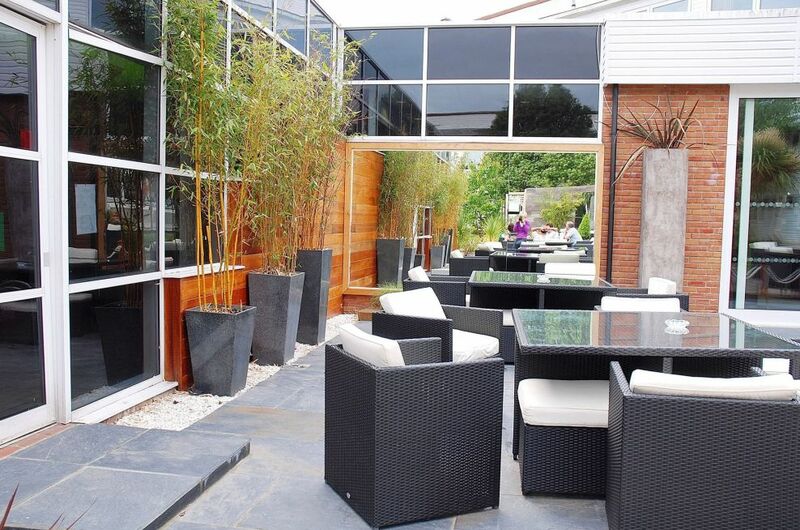 The Langstone Hotel is part of BDL Select Hotels, within its portfolio of quality independent hotels. 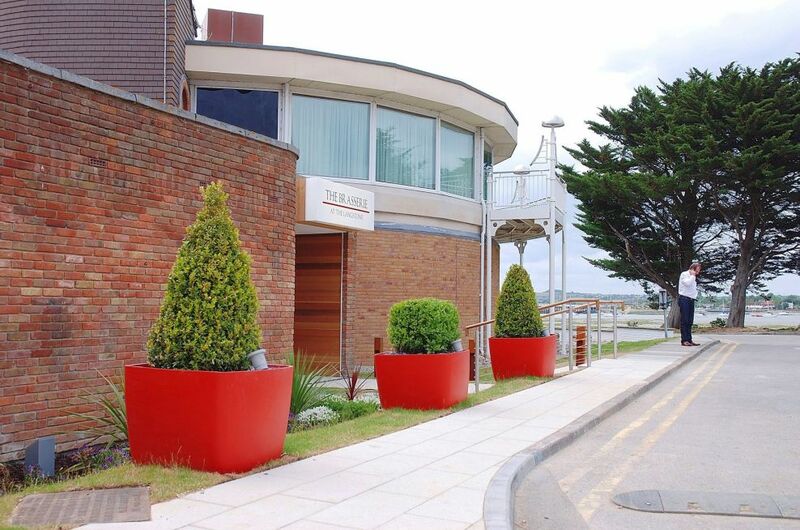 The hotel offers 148 executive and luxury bedrooms, in addition to conference and leisure facilities, and is located on the northern shore of Hayling Island overlooking the Langstone Estuary and Harbour.